YouTube has made a change to its attribution model for TrueView for action ads in order to better reflect “the relationship between video ad exposure and conversions”. 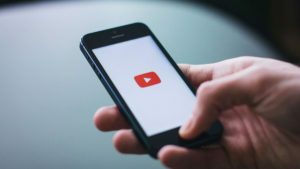 The Google-owned video sharing platform has adjusted its attribution window to 10 seconds, meaning YouTube will now count an ‘engagement’ whenever a user clicks or watches 10 seconds or more of a TrueView for action ad using maximise conversions or target CPA bidding. This time has dropped from 30 seconds. Moreover, YouTube, by default, will now count a ‘conversion’ when a user has taken action on an ad within three days of an engagement. This window has been reduced from 30 days. However, for users who click an ad, the platform will still attribute conversions according to the conversion window set by the advertiser, which is set to a default of 30 days. As a result of the changes, YouTube promises more accurate conversion counting, faster ramp up times for the target CPA campaigns of advertisers, and more current reporting thanks to reduced conversion lag.